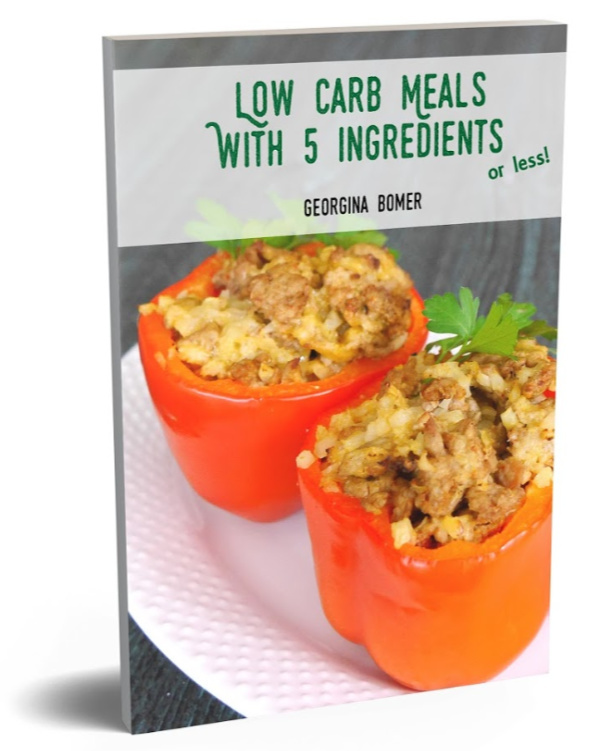 Low Carb Meals with 5 Ingredients or Less features over 60 delicious low carbohydrate recipes that will make your low carb diet even easier! With color photos and nutritional data provided for every recipe, this book will give you so much low carb inspiration! Includes ideas for breakfast, light lunches, and dinner! How about the Italian Chicken Tostada, the homemade Spinach Egg Noodles or the Cauliflower Risotto? The EBOOK version can be purchased from my StepAwayFromTheCarbs store.